Tory's great aunt, Temperance Brennan, visits just in time to investigate a robbery at the Loggerhead Island Research Institute. As a renowned forensic anthropologist, Tempe is obviously qualified to figure out whodunit, but Tory and her Virals pack want to crack the case on their own. Yet the crime is puzzling. Who could have accessed the labs at LIRI, and how could they have gotten the equipment off the island? 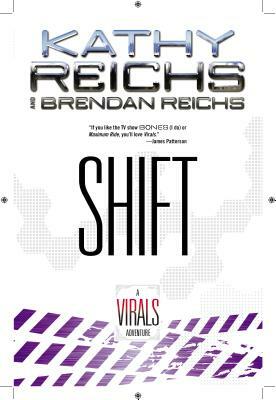 It's Brennan vs. Brennan in this short story that gives readers a brand new insight into the world of the Virals.